Home / SPC Programs & Events / Experience the World by Studying Abroad This Summer! Experience the World by Studying Abroad This Summer! There is still time to apply for the summer 2017 Study Abroad Scholarships! Take advantage of this once in a lifetime opportunity provided by St. Petersburg College that allows you to enrich your college education by taking college courses in foreign countries. Engage with the country’s culture, while learning in a fun, new way. Think you can’t afford to study abroad? The following scholarships are still available to help you partake in this learning experience of a life time. Scholarship eligibility: Students must be in good academic standing and be degree-seeking at St. Petersburg College in order to apply for an SPC Study Abroad scholarship. Ready to apply to the Summer 2017 Study Abroad Scholarships? Submit your online application now by clicking here. Please note: the scholarship is very competitive, so pay close attention to the questions and make sure you answer them fully! Belize – where you can study Tropical Ecology with Professor Wallis and/or Abnormal Psychology with Professor Brzesinski. Cuba – where you can delight in breathtaking culture, and cuisine that the country has to offer, while studying Music Appreciation, or Hand Drumming Techniques with Professor Hernly. Costa Rica Business – travel to Costa Rica and delve into the country’s diversity from the U.S., by studying one of the multitude of business and sustainability courses taught by Professors’ Jones and Grinnell. 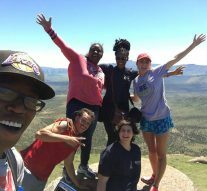 Study Abroad offers SPC students the chance to further themselves culturally, to build their resume, and set themselves apart in the world. Have any questions? Contact Anna Faiola by email at faiola.anna@spcollege.edu or by phone at 727-712-5883. Photo from the International Programs facebook page.